A recent announcement that the Shanghai residency permit of those citizens with a foreign green card will be canceled caused turmoil among Chinese netizens. For now, authorities announce, their hukou will not be terminated. Over the past few days, a rule for Shanghai citizens announced on the public security bureau’s website has raised concerns amongst netizens. The rule, published on March 13, relates to Chinese citizens living abroad, and states they should report to the police so that their local hukou (residency permit) can be canceled. Those who do not report to authorities will have their hukou forcibly terminated. 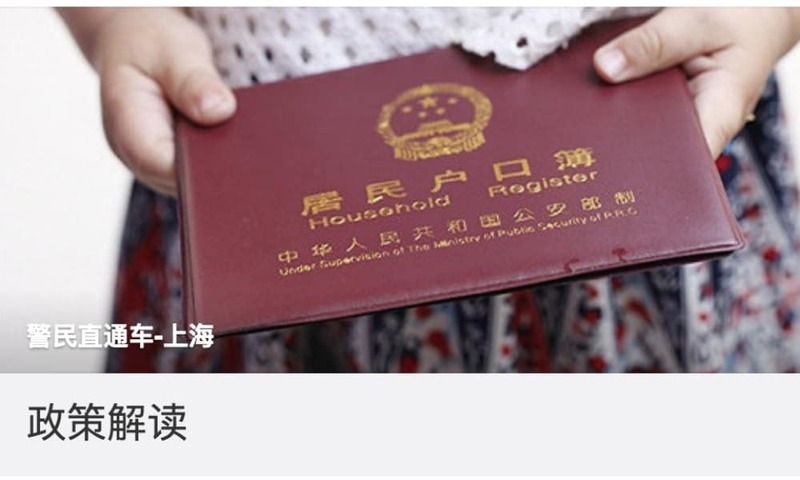 The hukou or ‘household registration’ system is assigned at birth based on one’s community and family. China’s hukou system, amongst others, separates peasants from urban citizens and is essential to access social services such as education and healthcare. The policy is worrisome for Shanghai citizens who have green cards for the US or Australia, for example, but do not actually live there or do not live there permanently. The process of regaining a hukou is complex. On Sunday, March 25, Shanghai authorities posted a notice on the ‘Police & Community’ Weibo channel (@警民直通车-上海), saying that there have been many responses to its policy announcement, and that people particularly wondered if their hukou would now be terminated by police if they were residing abroad. By Sunday afternoon, the announcement was shared over 12,000 times and discussed by thousands of people. “Even with a green card, you’re still a Chinese citizen, for what reason would their residency permit be terminated? !”, another commenter writes. “All this panic for nothing,” some say. Thank you guys for being soooo updated. My wife was freaking out when she heard this news. Thanks to you guys… I now can calm her down. YOU ROCK!